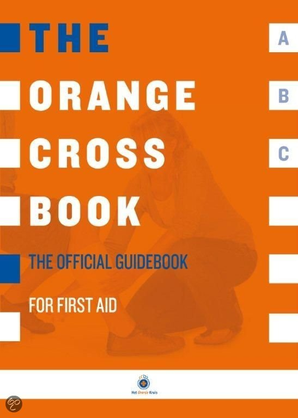 The Orange Cross Book The Official Guidebook For First Aid Do you want to know how to practise first aid in case of an emergency? This guidebook contains the course material required for the official recognized First Aid Diploma. Step by step and guided by clear illustrations you learn what to do and why. The Orange Cross Guidebook is indispensable for participants in a First Aid course. This issue, the 26th edition, complies with the current guidelines (2011) for First Aid. Under the supervision of the Council of Experts of the Dutch Orange Cross, the Official Organisation of First Aid in the Netherlands. Klik hier voor meer informatie en de bestelmogelijkheden van dit gedrukte boek.